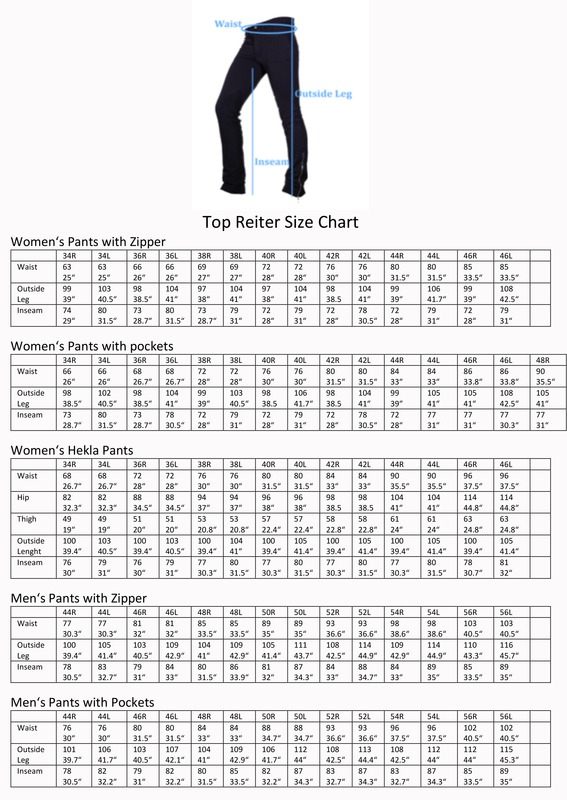 Very comfortable and stylish riding pants with zipper on the lower leg and back pockets. Very flattering shape. Color Black with grey seams.